With Holden set to cease all manufacturing by the end of 2017, the current VF-generation and all its derivatives will become the final evolution of the iconic Commodore nameplate. 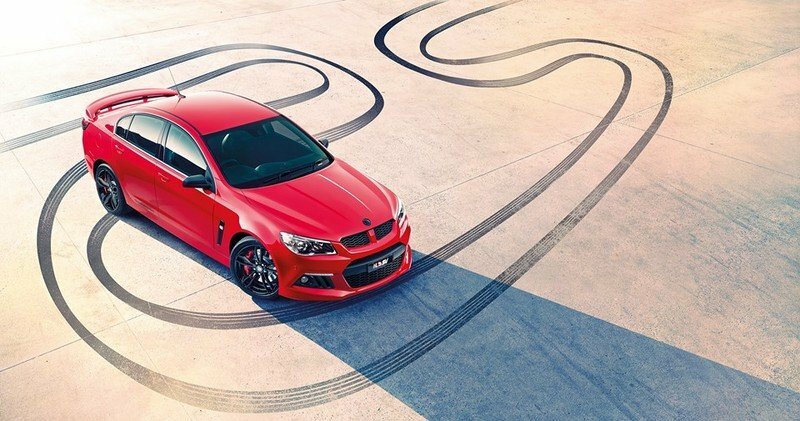 Its disappearance will also mark the end of the HSV (Holden Special Vehicles) brand, Australia’s leading performance-car manufacturer, as we know it. But until that happens, HSV is rolling out a limited-edition ClubSport R8 to commemorate the 25th anniversary of the ClubSport moniker. 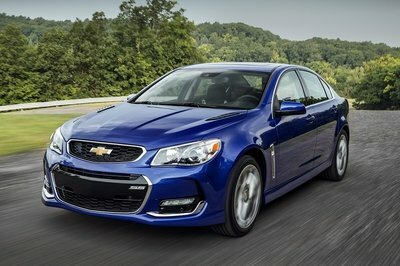 Much like any other Holden product, this performance sedan won’t be sold outside Australia and New Zealand. As its name suggests, the ClubSport R8 25th Anniversary Edition is based on the ClubSport model, which is the entry-level sedan in the HSV range. It sits below the ultra-powerful GTS and the luxurious Signature Series, and it is offered in two trims. This special-edition features the R8 package, which adds more horsepower and extra features to the standard model. Similar to the 20th Anniversary Edition that was launched in 2000, the 25th Anniversary Edition will be built in very limited quantities and employ a range of bespoke features inside and out. "Along with GTS, ClubSport has been one of the mainstays of the HSV lineup through its proud history", said HSV Managing Director, Tim Jackson. "We’re sure the added value offered with the 25th Anniversary ClubSport R8 will be well received by our fans." 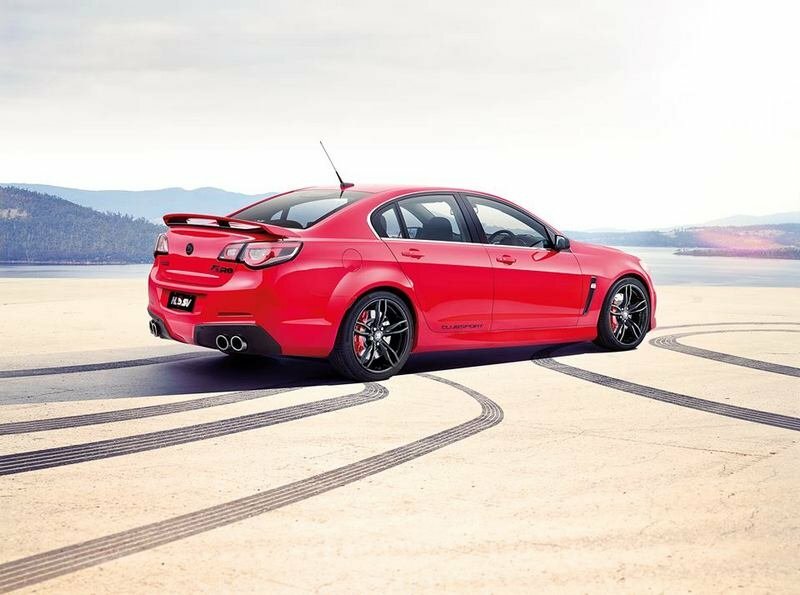 Continue reading to learn more about the HSV ClubSport R8 25th Anniversary Edition. Introduced in 2013, the Gen-F ClubSport R8 received an aggressive body kit that included a twin-kidney grille, a massive intake in the bumper, blade-like cooling vents around the daytime running lights, a split diffuser with quad-exhaust pipes, and a small trunk lid spoiler as the most notable features. The badges and logos on the doors, trunk lid, and hood are finished in the same color for a more sinister look. Not surprisingly, most of these cues are present on the 25th Anniversary Edition as well. 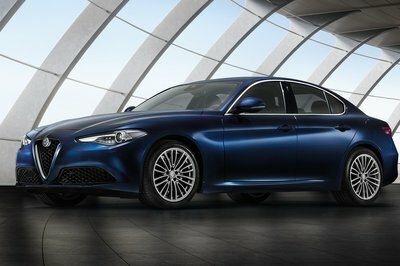 Those that aren’t have been replaced by bespoke parts that enable the limited-edition sedan to stand out from the pack. Making the 25th Anniversary Edition hotter than the regular ClubSport R8 are a set of lightweight, 20-inch SV Rapier wheels finished in Gloss Black, a racing-style Hyperflow Performance rear spoiler, and striking Pitch Black accents on the fender vents and mirror caps. The badges and logos on the doors, trunk lid, and hood are finished in the same color for a more sinister look. This might not be too noticeable on the red model depicted here, but the effect should be visible on a black-painted sedan. Rounding off the visual package is a "shadow-chrome" finish for the exhaust tips. The 25th Anniversary Edition comes in only four exterior colors: Heron, Phantom, Sting and Nitrate. For the uninitiated, that’s Holden-speak for white, black, red and silver. Inside, the sedan gets custom 25th Anniversary Edition sill plates, a bespoke EDI start-up screen, and individually numbered plates. 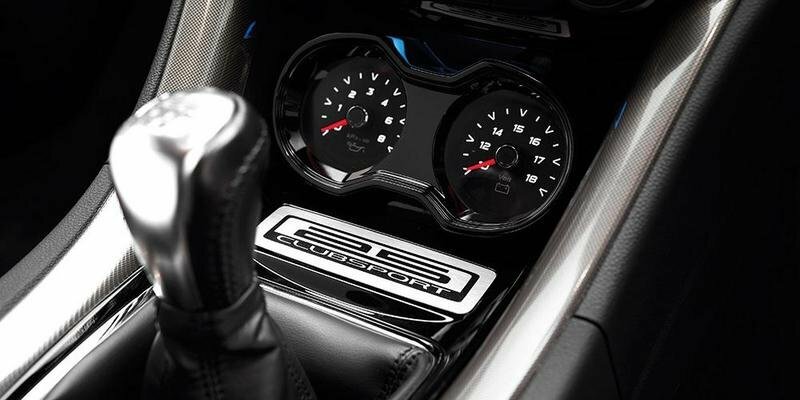 It might not seem like much, but bear in mind that the ClubSport R8 is a highly equipped model fitted with eight-way adjustable, HSV sports seats wrapped in Onyx leather, a multifunction, leather sports steering wheel, HSV gauges, sports pedals, and a premium Bose audio system with nine speakers, among many other things. The sedan also features Holden’s latest Enhanced Driver Interface (EDI) with an eight-inch color touchscreen, USB connectivity, and iPod integration. Drivers also get keyless access with remote start, head-up display, and safety features such as Side Blind Zone Alert, Automatic Park Assist, Forward Collision Alert, and Lane Departure Warning. The drivetrain is carried over from the standard ClubSport R8, which means the 25th Anniversary Edition employs a 6.2-liter, LS3 V-8 engine, shared with the C6 2014-2016 Chevrolet Corvette and the 2015 Chevrolet SS. The mill cranks out 456 horsepower (340 kW) and 420 pound-feet of torque (570 Nm) and enables the sedan to charge from 0 to 60 mph in about 4.5 seconds. The mill cranks out 456 horsepower (340 kW) and 420 pound-feet of torque (570 Nm) and enables the sedan to charge from 0 to 60 mph in about 4.5 seconds. Two transmissions are available for the V-8. There’s a standard TR6060 Tremec six-speed manual and an optional 6L80E six-speed automatic with Active Select and paddle shifters. All models are equipped with what Holden calls the Driver Preference Dial, which controls systems such as the ESC, traction control, launch control (manual transmission only), and the Electric Power Steering calibration. The ESC features a Competition Mode for drivers looking for an engaged driving experience free of all electronic assists. Stopping power comes from a set of massive brakes developed by AP Racing using NASCAR and V8 Supercar technology. Like any other Gen-F model, the 25th Anniversary Edition uses Continental tires. The 25th Anniversary Edition costs AUD$73,290 (about $54,230), a sticker that’s identical to the ClubSport R8’s. In other words, HSV isn’t asking a premium for all the extra features. Pretty cool given this sedan is built in limited quantities. Speaking of which, the company plans to build only 100 units for Australia and just eight for the New Zealand market. Production is scheduled to commence in July 2015. Holden and Ford have been battling for supremacy in Australia since the 1950s. Since 2002, when Ford Performance Vehicles was official established, the Ford-Holden war moved into the performance segment, including motorsport. 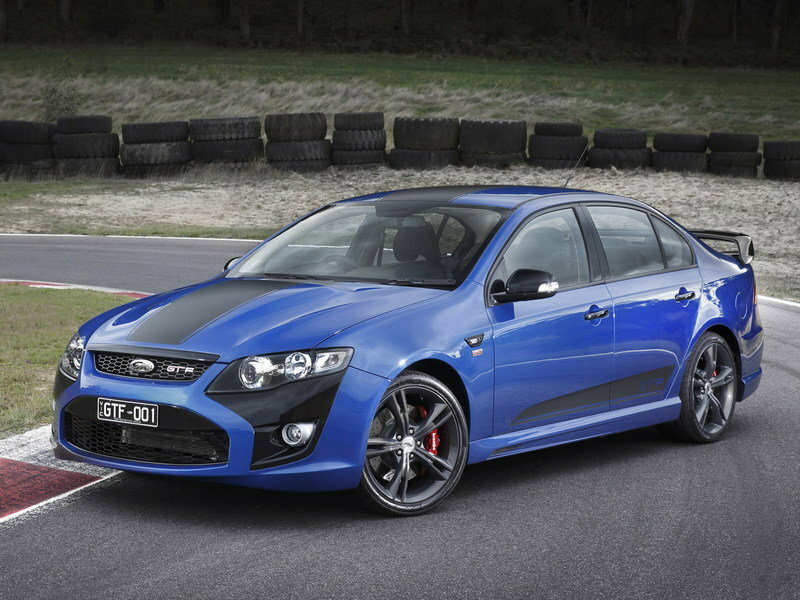 Though it all came to and end in 2014, when the FPV brand was retired in preparation for Ford Australia’s manufacturing shutdown, Ford Performance Vehicles did manage to build the GT F.
Based on the Ford Falcon, the GT F was built along the same lines as the ClubSport R8. 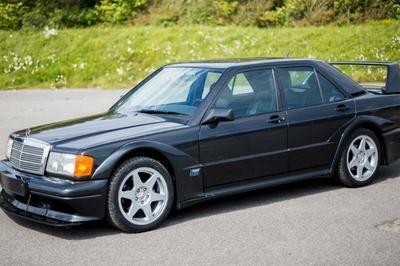 The standard body was enhanced with an aero kit, and the cabin received a range of bespoke features. But the most important update happened under the hood, where the 5.0-liter V-8 was tweaked to deliver 470 horsepower and 420 pound-feet of torque. 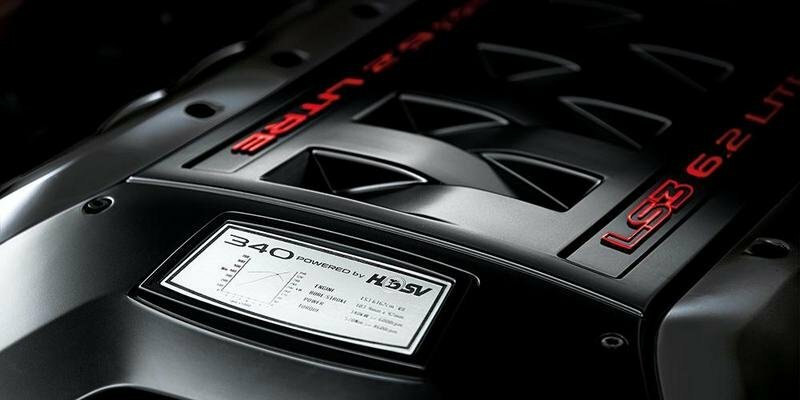 On top of being a bit more powerful than the HSV in normal conditions, the FPV also has a function that allows drivers to access up to 15 percent more power above 4,000 rpm. 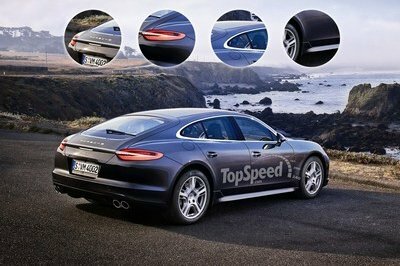 Pricing for the beefed-up sedan was set at AUD$77,990 (about $57,720) and production limited to only 500 units. 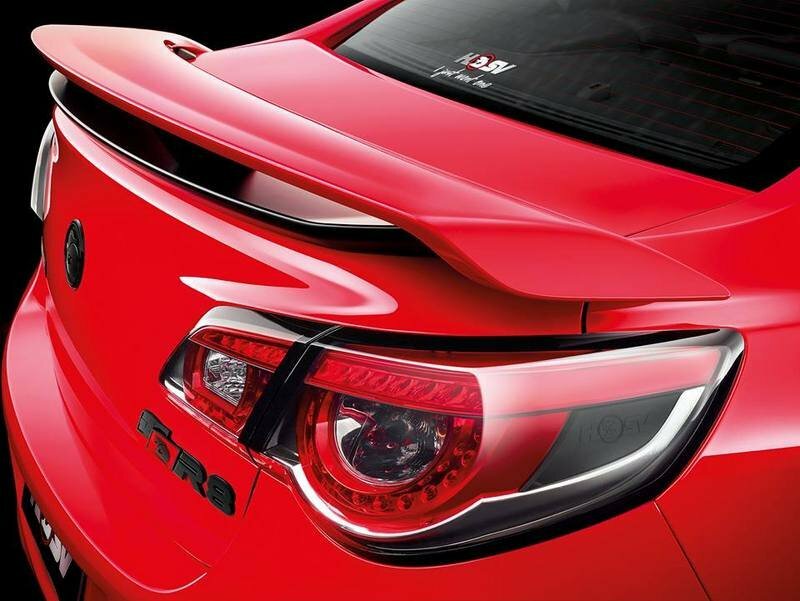 Read more about the FPV GT F here. The ClubSport R8 25th Anniversary Edition has everything it needs to be a show-stopper and become a collectible in the near future. And much like many of HSV’s products, it’s the kind of car I wish we could’ve had here in the U.S. Sure, unlike Ford, GM brought the Holden Commodore to North America with a Chevrolet badge, but the SS is nowhere near as aggressive as the ClubSport R8 or the GTS. 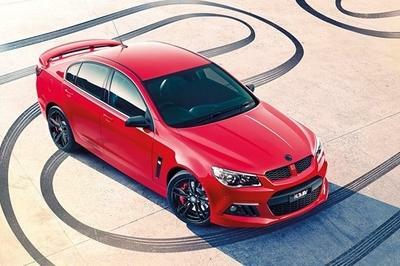 Unfortunately, the 25th Anniversary Edition marks the end of an era for Australian manufacturing and Holden Special Vehicles, and although this doesn’t mean Australian enthusiasts shouldn’t enjoy this new release, I can’t help but think that they will miss new HSV products in couple of years. “ClubSport is a much revered nameplate in the HSV line-up”, said HSV’s Chief of Design & Styling, Julian Quincey. “The styling enhancements we’ve introduced pay homage to its racing heritage and, at the same time, give the vehicle added street presence and attitude”, he said.